This past weekend was super busy with parties and cookouts so it seemed only fitting that Charlotte bust out her summer wardrobe. There were two outfits in particular that I've been dying to have her wear and she managed to rock them both over the weekend! 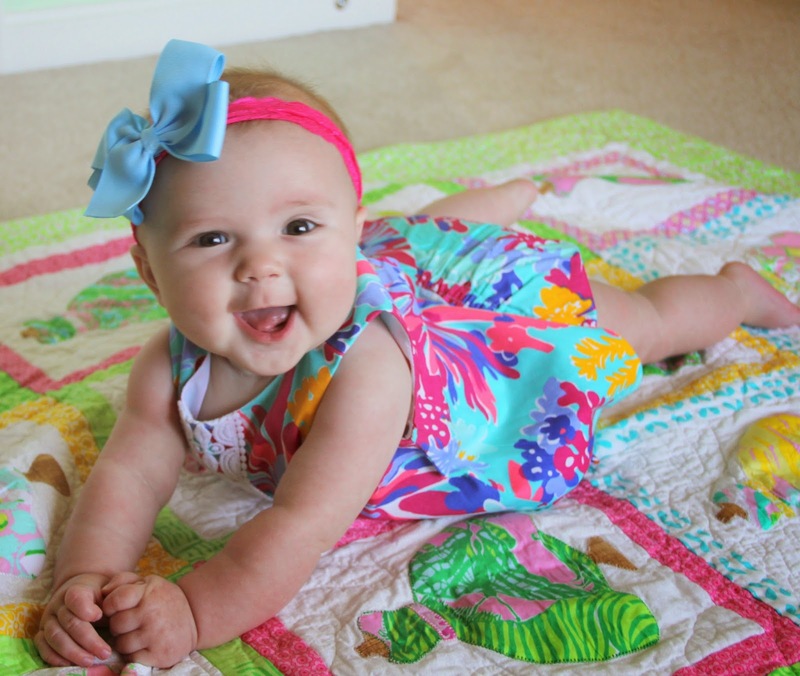 I always see these smocked outfits and I think they are so cute, but they are usually so expensive! So when I saw this adorable outfit pop up on a Facebook freecycle/yardsale site for just $10, I jumped all over it. The fact that it was in her size was fate! Judging by her smile, I think she approves of this outfit as well. 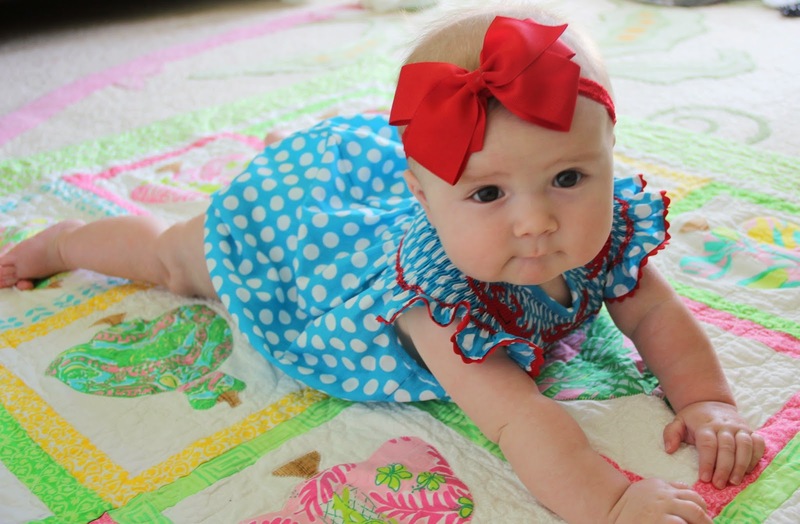 I paired it with a red headband and red bow, and she was ready to party! Charlotte's first Lilly was given to her by one of my friends before she was even born. After waiting what seemed like forever, she can finally wear it! 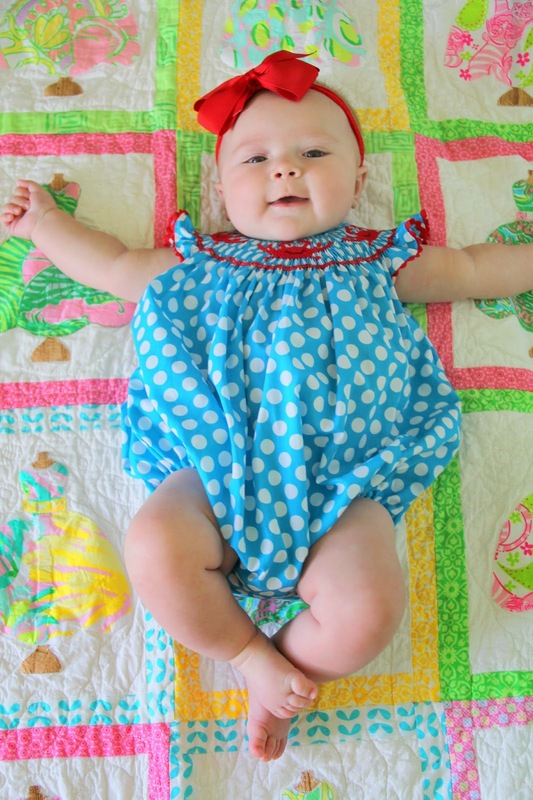 It's the perfect summer outfit and how can you not love those matching bloomers?! For now, I think it's safe to say that this child loves her Lilly like her Momma. 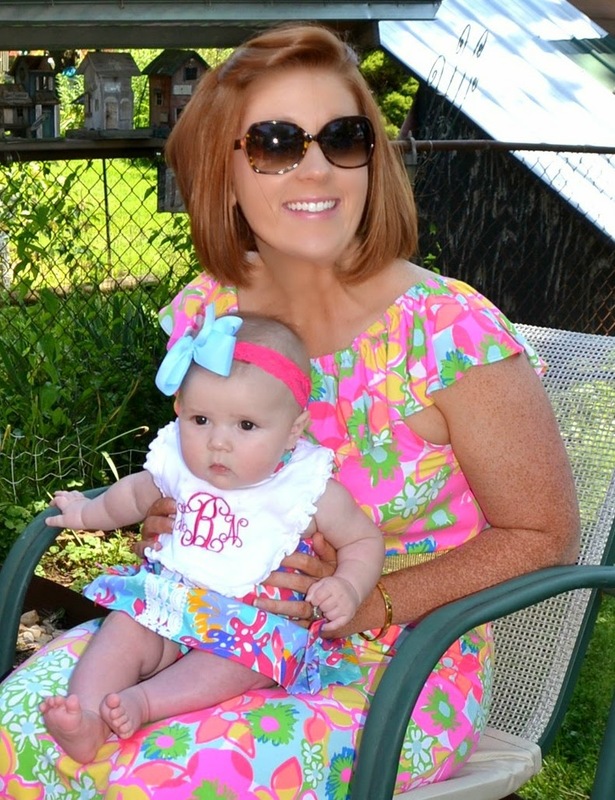 Of course I had to wear my Lilly too! 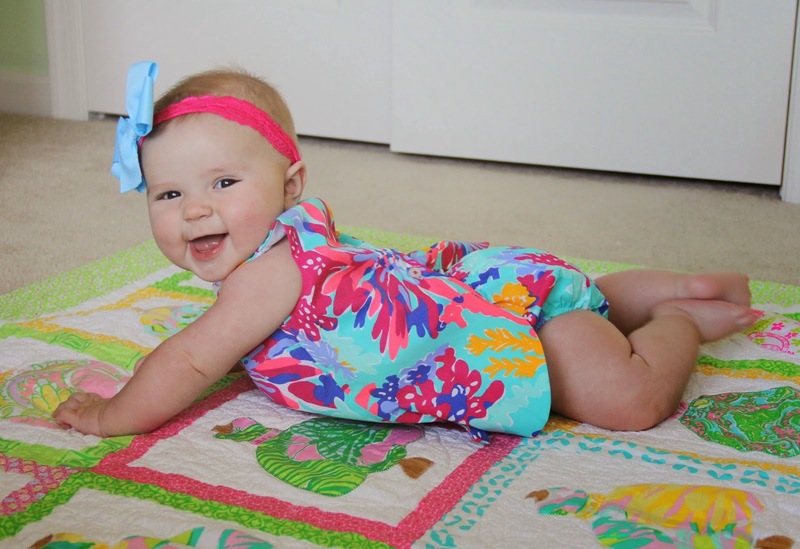 Adore her adorable little romper! And the lilly is just precious!!! !